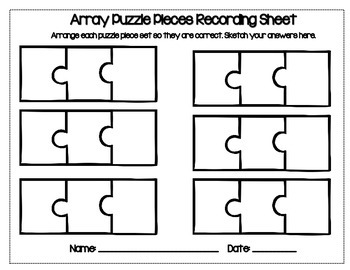 Cut out each puzzle piece and copy recording sheets for your students. 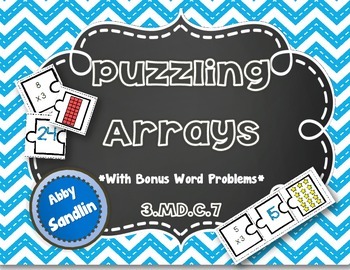 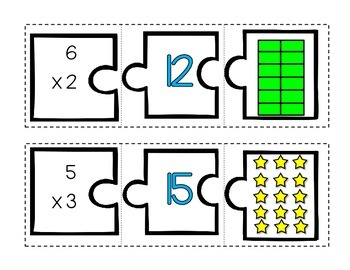 Students will match up three puzzle pieces for each set (equation, area/answer, and array). 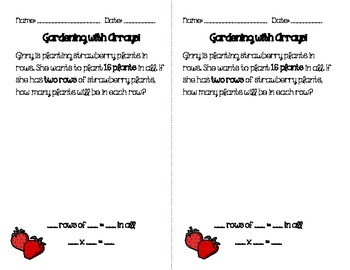 They will record their answers by sketching on a recording sheet.